Always dreamed of flying a paraglider all by yourself? You can make your dream come true. Or do you need to finish important licenses? No problem! 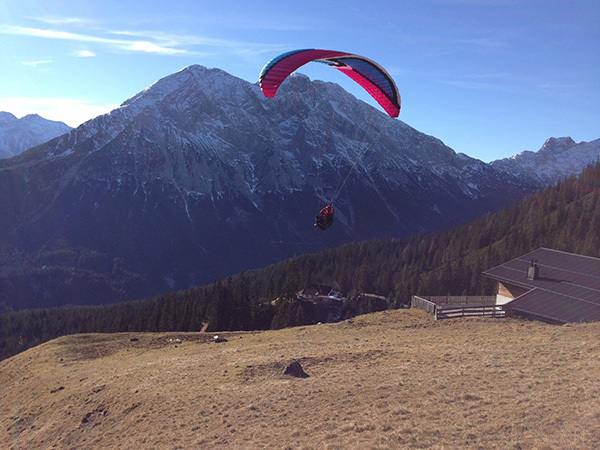 Since 2008 we offer tours and courses in co operation wit Papillon Paragliding. We make the final decision on the weekend, according to the weather. To guarantee the event we need a minimum of 5 participants. Because we want to have a unhurried and safe weekende we take 8 people maximum. Wher to sign up? Via mail to info@parafly.at by 31 October latest. Training for a tandem license is always possible when we offer the course for A license, every second week from mid May. For a trial weekend all you need is interest in flying and enjoy being outside. We have all the equipment. You learn the basics of theory and practice. Step by step you learn how a paraglider works. Our experienced instructors show you theoretical basics which you practice on the landing site. 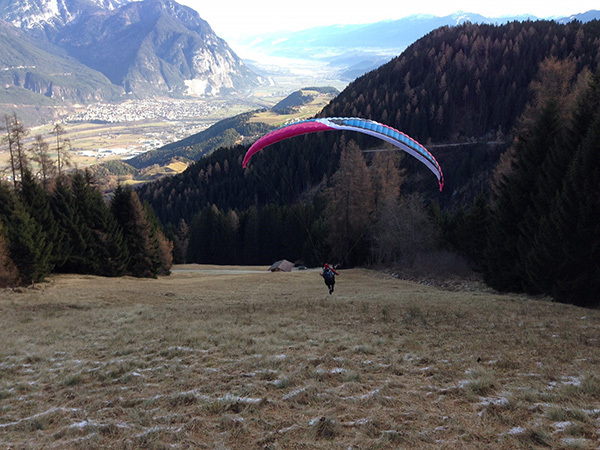 As soon as you can handle the paraglider we start with the first flights at our small training hill. Your instructor will give you all instructions via radio and you get to experience flying between 30 to 50 meters. The Parafly-Kombi course is the perfect start to your pilot career. A Week of intensive training on ground and in the air will give you all the needed basics to finish you’re a-license theory exam. For a kombi course all you need is interest in flying and enjoy being outside. We have all the equipment. 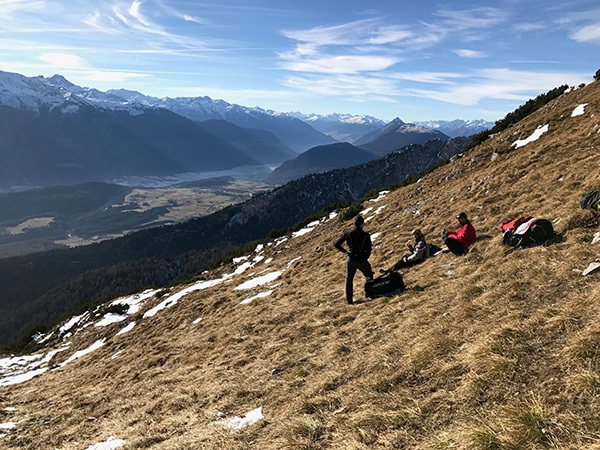 You learn all theoretical and practical basics needed for paragliding during the week. Step by step you learn how a paraglider works. Our experienced instructors show you theoretical basics which you practice on the landing site. After three to four mornings at our training hill you can start, steer and land safely. During the afternoon we learn theory and analyse videos of your flights. You learn all needed basics of your equipment, aerodynamics, meteorology, air law etc. You are ready and prepared for your first high flight with 800 meters in altitude difference. Your instructor will look after you at the start and landing sites and give you all instructions via radio during your flight. The rest of the week we use to do more high flights. With ideal weather conditions we can do up to 15 flights. At the end of the week you finish with the theory exam towards you’re A-license. The high flight course builds on the Kombi course. 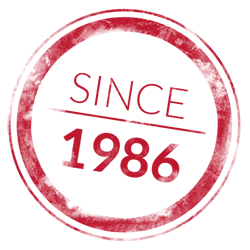 Goal is the practical A-license exam. For this reason, successfully finishing the Kombi course with your first high flights is a requirement to participate in this course. After successfully completing the Kombi course the second block towards you’re a-license begins – the high flight course. During this week you complete all 40 flights. Your take off and landing techniques are improved and you practise different manoeuvres which are required for your practical exam. If the weather is good then it is possible to complete all 40 flights necessary for the A-license exam. Goal is to get the okay from your instructor and finish off with the exam. Completed A-license. Ideally within 12 months after getting your license. 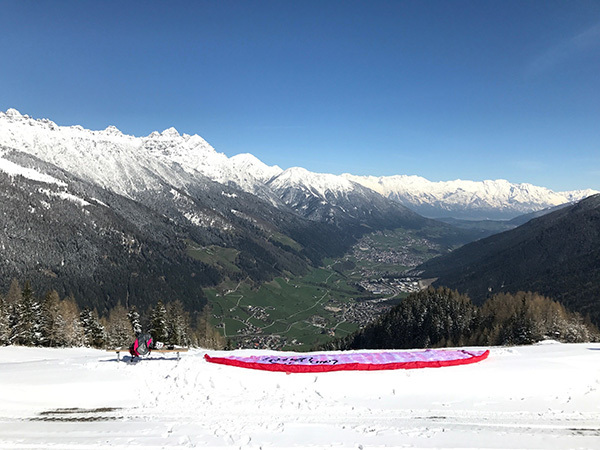 The thermal &technique training in Stubai guarantees you extraordinary flying experiences. 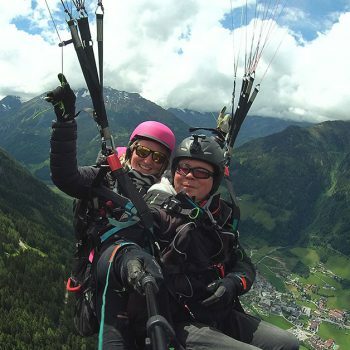 You fly at our scenic mountains Elfer and Kreuzjoch. With the help of video analysis we improve and train start techniques and manoeuvres. We also help you with your first thermal flights. Your airtime and quality of your flights will increase with every flight. Completed A-license. Fun while flying. A relaxed holiday flying with family and friends. Supervise flying with likeminded people. For long distance flying you need the B-license. Like for you’re a-license your have a theoretical exam and practical manoeuvres you need to complete. The practical manoeuvres can be flown during a thermal &technique training. Dates for the B-license are on request. Please note: If you have an accident during a long distance flight without a B-license then this could have legal and actuarial consequences. Completed A-license and thermal&technique training. Fun while flying. A relaxed flying holiday with likeminded people in a group. Supervised flying with support via radio at take off and, if needed, at the landing site. Completed A-license and thermal & technique training, ideally with B-license. Fun while flying. Taking off and landing independently. A relaxed flying holiday with likeminded people in a group. Supervised flying with important information and tips via radio.